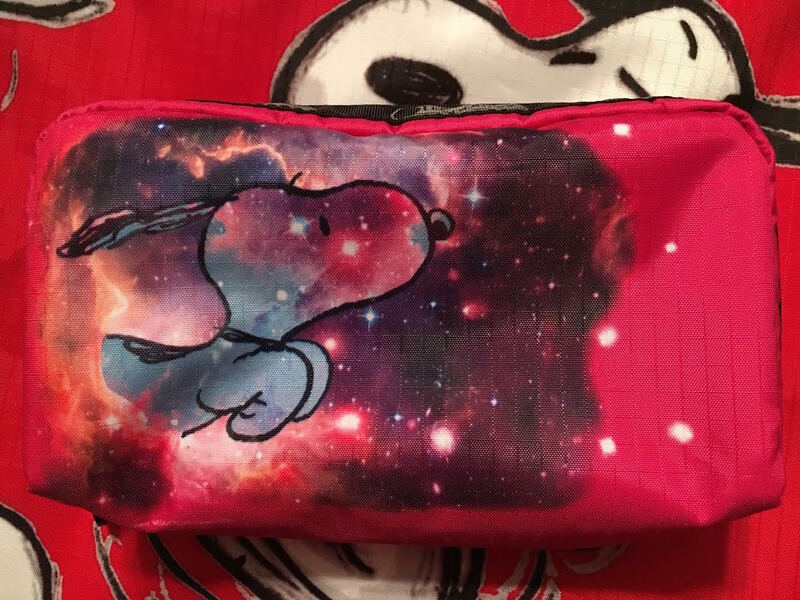 We LOVED this collaboration between LeSportSac and the Peanuts! 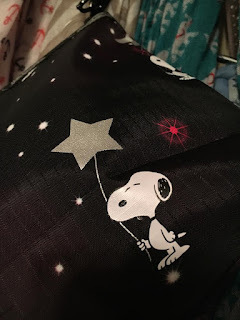 Here is a multi-bag review of the great bags in the new Peanuts Collection! As you all know, I love me a tote, especially when its a zipper top. I use a LeSportSac Hailey tote for work daily to lug all of my books back and forth to school. Our reviewer of this bag is a retiree who was looking for something durable, water resistant and with a zip top so she could carry her crochet patterns back and forth when she's on the go! 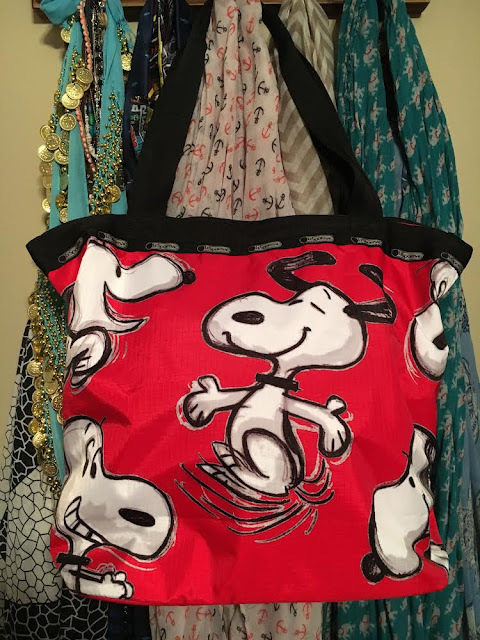 "I have loved the Peanuts gang since I was a little girl and honestly I have always loved everything I have ever gotten from LeSportSac. The fabric washes easy and holds its color. 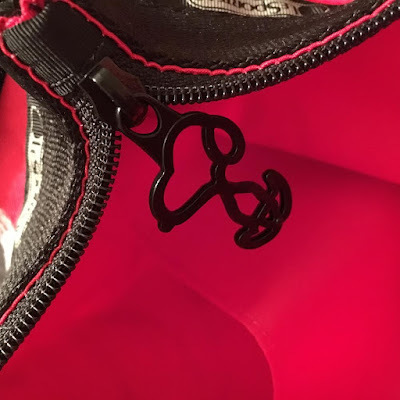 You would not believe how hard it can be to find a decent sized zipper tote that I can count on!" Check out these Essential Wristlets! 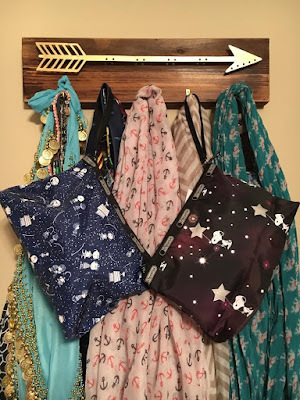 "I have been looking for a great grab a go bag, when I can't tote my purse around with a diaper bag as well. 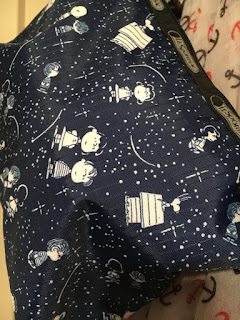 Carrying both is too much but if I keep my wallet in here I can quickly grab it and throw my phone and keys in it if I have to run out for formula or diapers!" "Sometimes I don't want to carry a big bag but I need more than just my wallet. 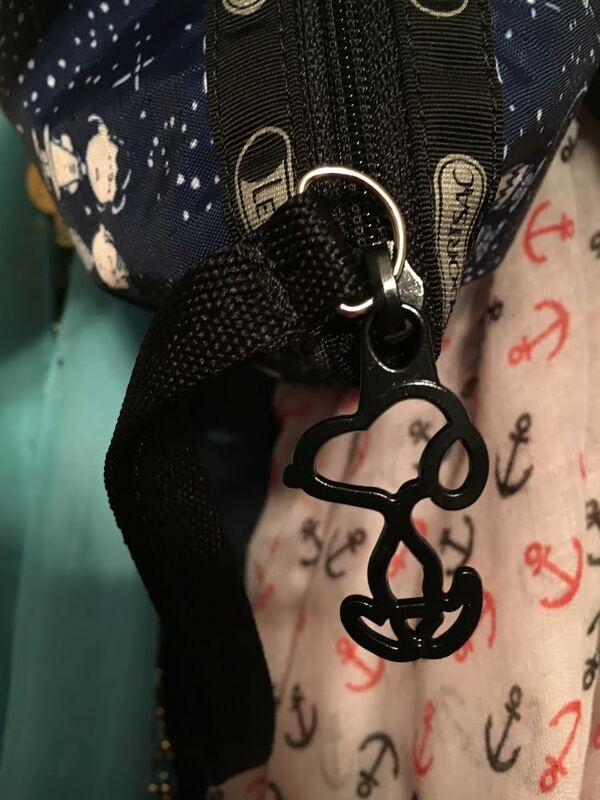 It's great for shopping or running errands! And I have already gotten so many compliments on it! " And finally, the small cosmetic bag. Our reviewer is a college student who needed something she could keep makeup, daily essentials, and school supplies in. "The best part about all the Le SportSac cosmetic bags I have ever seen is the 3-sided zipper. Being able to unzip around the bag on three sides makes it easy to find what I am looking for. I never have those awkward moments where I drop something that was meant to stay in my bag!" Winter Wish List Must Haves by Wonder Forge! LeSportSac Moana Weekender Prize Pack!